Institutional strengthening is to be focused on human resource and organizational development as well as financial management and budgetary planning. Infrastructure operations and maintenance are also to be strengthened in support of decentralized implementation, while the cost-effectiveness of elements of the district health delivery systems is to be improved. Ensuring effective and efficient mobilization of local resources, while facilitating rational and more equitable allocation of health expenditure in a decentralized system. Effecting improved and timely delivery of quality health services at district and community levels. Improving the distribution of health facilities and ensuring their maintenance, with access to such facilities also to be strengthened. Ensuring that high quality, effective and safe pharmaceutical supplies are available to all Basotho. Budget allocations for the requirements of the Ministry of Health are aimed at the promotion of public health, while legislation and regulations maintain the country’s standards of health provision. Public and occupational services include the active promotion of sanitation and universal access to a protected source of water. A network of hospitals, clinics and health centers provide basic facilities throughout most of the country. The Ministry of Health and Social Welfare, in conjunction with various non- governmental and private agencies, as well as donors, maintains a comprehensive, coordinated and integrated health system. The technical aspects of health services cover research and laboratory work, the maintenance of professional standards, disease control, environmental health and health education. The Department of Pharmaceutical Services is responsible for the provision of drugs to all hospitals and health centers, while the National Drug Services Organization is responsible for the procurement and distribution of drugs throughout the health system. A parastatal corporation handles manufacturing and testing. In the aggressive development of this sector, participatory planning ensures that health needs are met by implementing community based health interventions and rehabilitation programmes. 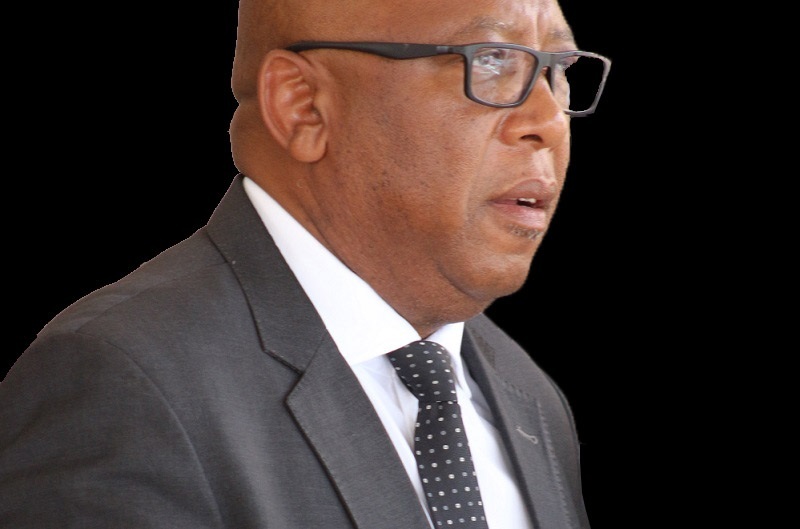 The key institutions for the delivery of health care services in Lesotho are Health Service Areas (HSA). The country is divided into a number of such health service areas, each based on a government or mission hospital. The central hospital in each HSA services covers a number of village health centers with resident nurses or nurse practitioners, as well as clinics, which receive regular visits from doctors or nurses. It also trains community health workers from individual villages, thus extending health care throughout the whole service area. The World Health Organization, a specialized UN agency, plays a key role in directing, coordinating and supporting a wide spectrum of health related activities in Lesotho. These include the strengthening of health planning and management, development of human resources, programmes such as AIDS control, mental health, school sanitation, disaster preparedness, community participation and family health, including safe motherhood. 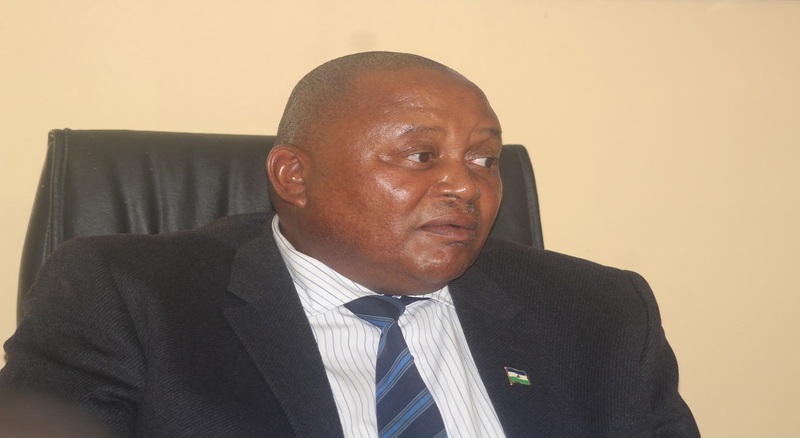 Numerous other agencies and international organizations have supplied assistant and made funding contributions, while private and public organizations are also largely responsible for health services in Lesotho. In particular, nine of the 18 HSA hospitals are owned and run by churches linked through the Christian Association of Lesotho. A village network of over 5000 volunteer community health workers. Clinics/health centers, where teams serve from 6000 to 10 000 people. Health Service Areas, with teams operating from referral hospitals. Apart from the village health workers, various other categories of community based health workers include traditional birth attendants, distribution agents and water minders. This broad-based support for the health sector has been instrumental over the past decade in the decline of certain diseases such as polio and the success of certain programmes. Health centers or local clinics are responsible for immunization of children, ante and post natal services, family planning consultations and basic curative services. With the shortage of nurse clinicians, it is hoped that in time sufficient numbers of health assistants will reinforce health work at field level. Health centers are staffed by clinicians that are able to diagnose and prescribe or by nurses or nursing assistants. Construction of filter clinics in Maseru has been ongoing to relieve pressure on the outpatient department of the national referral center, Queen Elizabeth 11 Hospital. District hospitals are expected to staff all facilities with appropriately qualified staff and the equipment needed to deliver health services. Three district hospitals (in Mokhotlong, Berea and Qacha’s Nek) have been rehabilitated and upgraded. 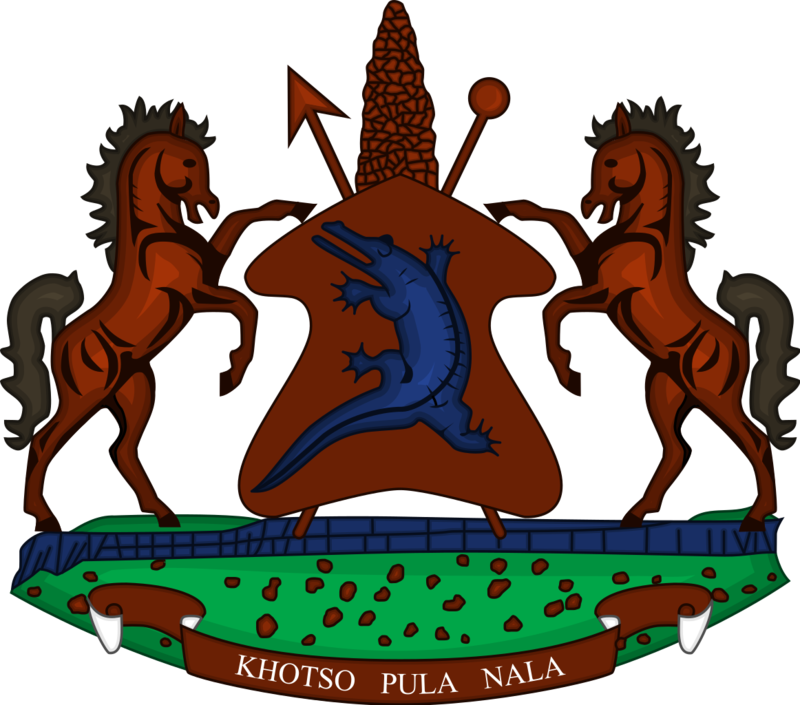 There are several general hospitals in Lesotho, as well as two specialist hospitals and a privately run military hospital. Maseru Private Hospital at Thetsane was established at the end of 1996. An up market, modern facility with excellent staff, the hospital provides quality medical, nursing and personal care. It boasts a well-equipped maternity unit, and a 24-hour casualty and emergency unit. Many additional services are available. Local medical specialists as well as visiting specialists from Bloemfontein in South Africa consult and operate on a regular basis. As one of the health service areas in the country, the Lesotho Flying Doctor Service provides more than an emergency medical service to the remote mountainous areas of the country. It has also initiated rural health care programmes and brings in essential supplies, including fuel and vaccines, to areas in distress. Patients needing a specialized medical treatment not available in Lesotho are referred to hospitals in neighboring South Africa. Cessna 206 single engine planes, equipped with stretchers and first aid kits, are each able to accommodate six passengers and visit clinics once every three weeks. The visiting health team currently includes a doctor, a dentist, a pharmacy technician and a public health nurse. Pilots for the flying doctor service, on duty seven days a week for scheduled and emergency flights, are provided by the Mission Aviation Fellowship, which operates 130 aircraft in 30 countries. Ireland has again reaffirmed its commitment to aid projects in Lesotho – Ireland Aid supports the flying doctor service, while an Irish doctor, employed by the Ministry of Health, makes regular flights to Lesotho to assist. The SOS Children’s Village Association of Lesotho is a full, member of SOS-Kinderdorf International. The principal purpose of the association is to provide a new and permanent home for abandoned, orphaned or destitute children in a caring family environment. SOS raises such children to adulthood with a very high standard of care. This is possible because of the association’s principled, long-term perspective, and because of the assistance of organizations and individuals around the world. One such project is situated at Lithabaneng on the outskirts of Maseru, and children, admitted from any age, may remain until they are self-sufficient. The free development of the individual personality and the aptitude of every child are promoted. A number of associated facilities, including a modern SOS kindergarten and a small primary health care clinic, serve primarily to prepare children and adolescents for adulthood. Under the management of a representative central committee, Lesotho Save the Children receives donor supports and works closely with other organizations. The Organization advocates improvements in children’s rights, and aims at bettering the quality of life for both them and their families. Among its activities are provision of housing for destitute children, assistance for disabled children, a community care programme for disadvantaged children, and assistance with primary school fees. A training center at Masite helps young people to acquire agricultural skills. Lesotho is also host to an office of Save the Children Fund (UK), which has a variety of programmes to assist children and their families. These include drought relieve work, with the disabled and with juvenile offenders, educational support both through payment of school fees and provision of stores and kitchens for schools. Complementing the Ministry of Health in the provision of family planning services an information, the Lesotho Planned Parenthood Association promotes fan-fly planning through clinics, publicity material, and the promotion of community-based distribution of services. The policies applied lead to the improvement of the well-being and health of women of child bearing age, youth and those in underserved communities. Member churches of the Christian Health Council of Lesotho [CHAL] provide nine general hospitals (each serving a large geographical area), and over 70 health centers, clinics and outposts (mainly in rural areas). Several notable achievements can be attributed to this association. 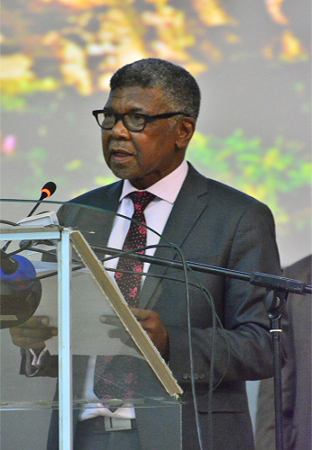 Drought as part of the climate of Lesotho, can be severe and often prolonged, while incidents of crop-destroying frost as well as flash floods have also been experienced The cabinet approved a national disaster management plan during 1996. Food and funding for the ‘vulnerable household’ feeding programme has been received at times from the WFP and other donors, and assistance and support are provided during drought induced emergencies. The government accords high priority to the control of the spread of HIV/AIDS. The national AIDS programme is an integrated approach towards the prevention and control of this devastating disease, with countrywide activities involving all government ministries and non- governmental organizations. This multisectoral project is executed by WHO and coordinated by the Ministry of Health, and it involves the oversight of the UN Theme Group on HIV/AIDS.